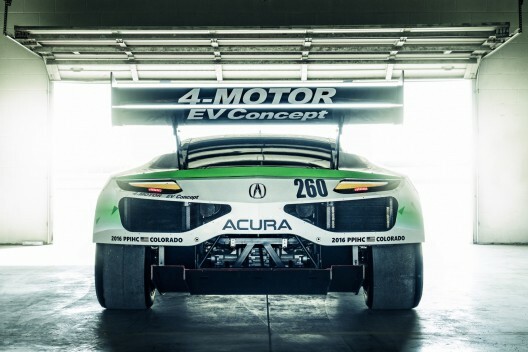 Electric vehicles did not win the Broadmoor Pikes Peak International Hill Climb outright this year, but their overall showing was an indicator of how much progress designers have made in the last five years. In 2011, Chip Yates rode his UQM-powered motorcycle to a record 12:50.094 time. Part of the 12.42-mile course was dirt road then, adding to the thrills, but slowing overall times. “I felt bad for the fans that watched me through the dirt section. They saw an electric superbike going 1 mph around the hairpins in the dirt.” He added this declaration, “We got a 12:51 time, I’ll take it, it’s plenty good for a rookie, and it’s plenty good for a home-made bike made by three volunteers.” He removed the motor from the bike and powered a modified Long-Eze aircraft to set several world records. Astonishingly, all but five of this year’s 78 finishers (out of 97 starters) had better times than Chip’s record-setting run just five years ago. Electric vehicles have pushed internal combustion car designers to get even better, and this level of competition seems to be pushing things along nicely for all competitors. 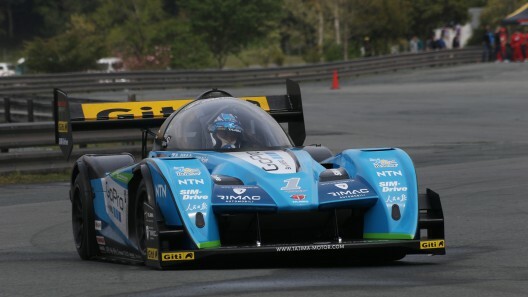 Watch the total runs by Romain Dumas, outright winner in a Norma chassis powered by a Honda Performance Development engine, and second place Rhys Millen driving an electric racer. Note the difference in noise levels for the two competitors. Romain Dumas’ drove a Norma M20 RD Limited Spec-2016, built just for this run. This win followed Dumas’ win at LeMans the week before, a first for any driver. Rhys Millen drove a seven-motor e0 PP100, running with 1.3 horsepower per kilogram (0.6 hp. per pound). The YASA- (yokeless and segmented armature) 400 motors are an outgrowth of Oxford University research and are managed by e0 controllers. The package has a peak power of 1,190 kilowatts (1.595 hp.) and peak torque of 2,520 Newton-meters (1,858 foot-pounds) of torque. The power train is driven by a 700 Volt, 50 kilowatt-hour lithium-ion battery pack with a battery management system (BMS). Blake Fuller is CEO of GO Puck, makers of a range of action-camera mounts and wearable battery packs. Looking for some action, he entered a Tesla S P90D in this year’s hill climb, near stock except for a gutted interior and clever installation of a roll cage. Fuller and his team beat the production electric vehicle record by a full minute with the Model S. To prep the batteries for the long haul up the hill, they gave them an ice bath to start them at a lower temperature with the hope that things would return to normal by the top of the climb. Even lightened, the car weighed 4,000 pounds, twice the weight of several outright winners. Considering the range of cars attacking the Peak, this year’s results show solid progress in power train and battery development. Racing does improve the breed.